Mike Baggott, the youngest son, will soon be completing his Bachelor of Science degree in Information Technology at Georgia Southern University. He received an Associates Degree, with honors, from Ogeechee Technical College. He has already assisted clients by providing deskside support for printing issues, malware and ransomware removal, and hardware upgrades. He is continuing to develop skills in web site and application development. While Ryan is seldom available for assignments from Dad these days, Mike is anxious to learn all aspects of Information Technology. His customer service skills are excellent, partly because he is such a good listener and partly because he has such a helpful and sympathetic attitude. Fun fact: he wrestled throughout his high school years and is also a Black Belt in Tae Kwon Do. 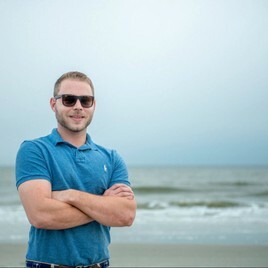 Ryan Baggott is well known both locally in the Hilton Head Island, South Carolina area and also in Georgia and Florida where he worked for a number of clients providing web site development, high quality photography and videography services as well as Social Media management services. He received his Bachelor's degree from the Univeristy of South Carolina, Beaufort. Fun fact: An excellent baseball player in High School, Ryan was nicknamed "Crucial". When a run was needed they usually called on Crucial.